This Saturday, my dad finally made it to the North Pole. Or, at least: some of him did. 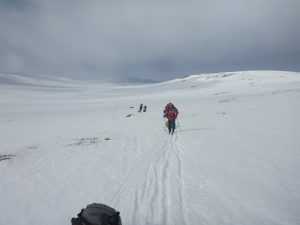 Members of the polar trek team in training in Norway, last month. With thanks to Geoff Major (click photo for his blog post about the training). My dad was killed in February while training for his planned exhibition to the North Pole, fundraising for charity TransAid. Since his funeral last month, my life’s been a whirlwind of emotional ups and downs and administrative challenges with the handling of his estate, of which I’m an executor. Geoff Major’s tweet about my dad reaching his destination. So it was a really special moment to discover that, this weekend, my dad finally made it to the pole. My sisters and I had arranged that a portion of his cremated ashes would be carried with the polar trek team and scattered at what must be one of the most remote places on Earth – the very top of the world. It’s nice to think that not even death was enough to stop my dad from getting to the planet’s most Northernmost spot, even if he had to be carried for the last 600 miles. 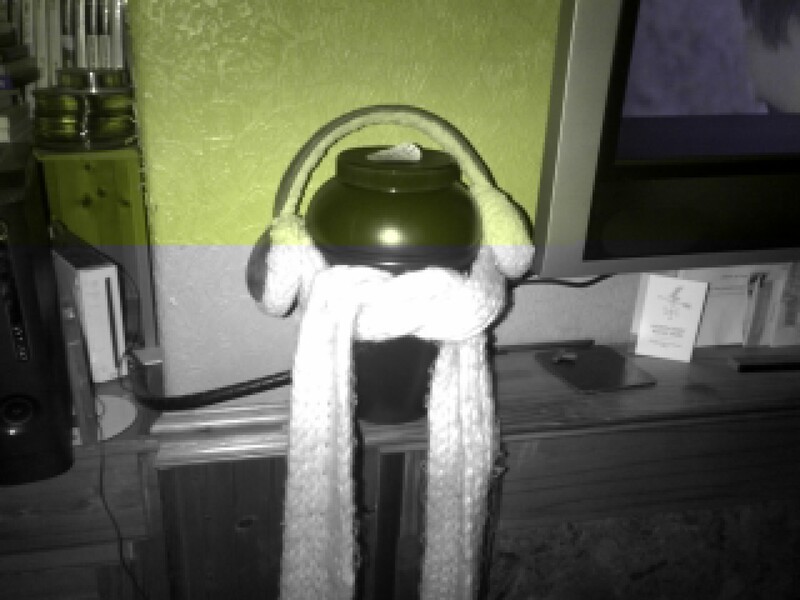 My dad, “dressed for cold weather”, according to my sister. Meanwhile, donations flooded in faster than ever to my dad’s fundraising page, taking the grand total to over £12,000 – significantly in excess of the £10,000 he’d hoped to raise. My family and I are gobsmacked with the generosity of the people who’ve donated, and incredibly grateful to them as well as to the team that took him on the last ten days of his journey to the Pole. The fundraising total, according to JustGiving. A significant amount of money was also raised offline, via donations at or around my dad’s wake, and is not included in this already-impressive total. It pleases me that my dad gets to trespass somewhere he shouldn’t be, one last time: this time, breaking the international conventions that require that nothing gets “left” at the North Pole. The remainder of my fathers ashes will be scattered by my sisters and I from the top of a particular mountain, as he’d sometimes said that he’d wanted. And after all of these adventures, I think he deserves to get what he wants. With no apologies for the pun: he’s urn‘d it! In April, my dad’s off to the North Pole, in another of his crazy expeditions! Long-term readers might remember that he and I cycled around Malawi and attempted to canoe down the Caledonian Canal, but his latest adventure makes those two look like a walk in the park! It’s particularly challenging, I think, because he’s having to walk there. It turns out that there isn’t a regular bus service to the North Pole, which I think pretty-well represents everything that’s wrong with the bus industry these days. I worry about the poor old lady who lives at the North Pole – you know, Santa’s wife – and how she gets out and about when her husband is out in their only flying sleigh. My dad, dragging a tyre along the edge of the river in Gateshead. But in any case, dragging a sled behind yourself which holds everything that you need to survive for over a fortnight on the Arctic ice is a monumental challenge for anybody. 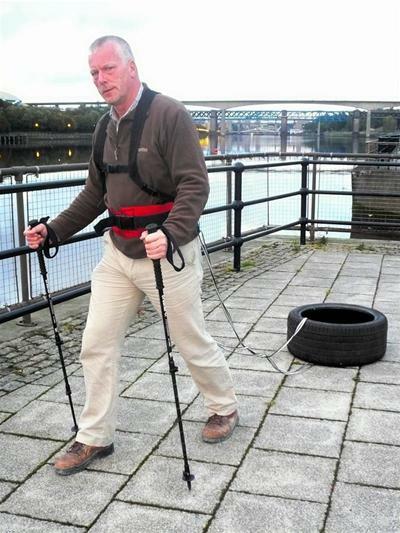 As part of his training, my dad’s been dragging a tyre, roped to his waist, around Gateshead. This apparently approximates the amount of drag that is produced by a fully-laden sled, although I’m not sure that the experience is truly authentic as polar bears are significantly less-likely than geordies to mock you for dragging a tyre around. Also less likely to maul you. In fact, now I think about it, the dangers of Arctic exploration – with its shifting ice, temperatures below -30°C, polar bears, and blizzards – are actually quite tame by comparison to going for a stroll in some parts of Tyneside. In any case, I’m incredibly proud of what he’s doing. 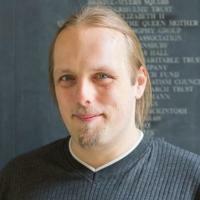 His expedition is self-funded, but he’s also accepting sponsorship to raise money for an organisation called TransAid, who help provide sustainable and safe transport solutions in the developing world, where they can make all the difference to people who otherwise wouldn’t be able to reach a hospital, school, or work opportunities. So if you’re as impressed as I am with this venture, then please find a little spare change to sponsor this worthy cause: sponsor Peter Huntley’s North Pole trek in aid of TransAid.